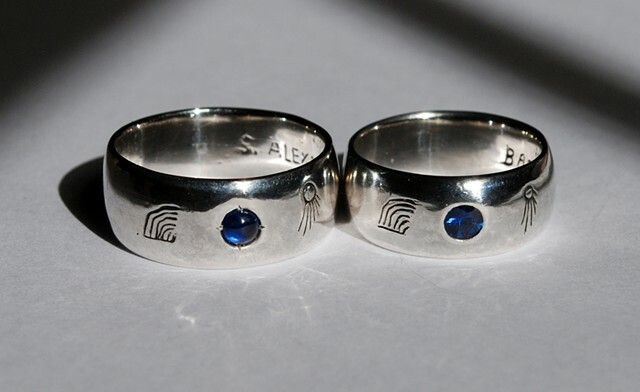 Custom wedding rings made for my lovely and talented friends Gemma Thompson & Sam Sherry. Gemma & Sam's wedding rings. Sterling silver and natural blue sapphire & turquoise.